Hey Friends! I hope you are all off to a good week. My daughter started kindergarten on Monday and we are fully back in the swing of things. Fall activities have started now too so there is less time at home and more time driving around in the car. Fun. A neighbor told me that your life completely changes once your kids start driving. Scary thought for me and we have SO much time before that happens but it is an interesting thought. Anyways, as you know I love looking at decor! I’ve been noticing a few decor trends out there and wanted to write an inspiration post about them. These are small simple items but there are many different ways to decorate with them. 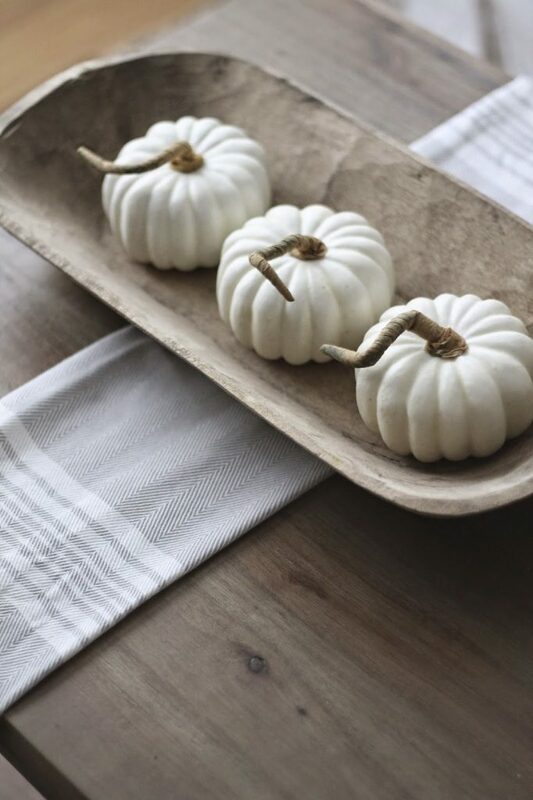 Fall tends to be a time for me to hit the reset button on a lot of decor in my house. I change things out, move other things around and usually have boxes upon boxes of items to donate. (How do we keep accumulating stuff???) Read on to see some trendy decor accessories you can use around your home. These dough bowls were actually used to make morning bread way back when. They are so beautiful and have such a great vintage quality to them. 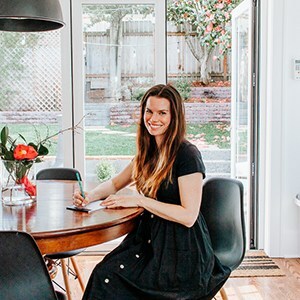 I’ve seen them mostly in the oblong shape, which is perfect as a centerpiece on a long dining table – but I have also seen them more round. Perfect for holding fruit or seasonal decor. Here’s a few photos to get you started. You can find these dough bowls at Pottery Barn, Ballard Designs and Etsy, as well as many others I’m sure! Or as a stylish display for drinks on your buffet…. I love these! If you want to make your own – Super easy and Super inexpensive DIY then click HERE. I still have to figure out a way to keep them out of my soon to be 2 year olds hands. It’s tricky. He finds everything. 🙂 You can use these to add texture to your decor and fill in some spots that need a little something. I’ve seen neutral but also in various colors. I’m partial to the wooden ones for their simplicity. These are beautiful sculptural pieces that I’ve seen just about everywhere lately! But, what the heck are they? 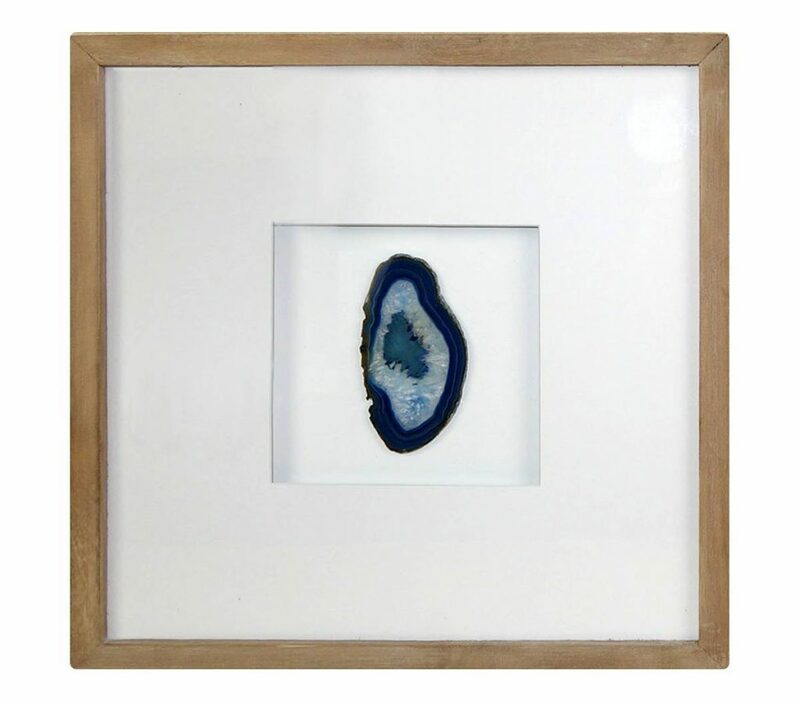 Agate geodes actually form within the earth and are made up of a bunch of different minerals. From the outside, they look just like rocks. But once they are split open, they reveal gorgeous layers of crystals that formed over time from hardened mineral deposits. And there’s your science lesson for the day. 🙂 They come in many different colors and are actually quite popular in Feng Shui for their healing properties (particularly blue lace agate.) With all that being said – here’s some ways to use these beauties. In Frames. This is from Target, can you believe it? Usually you will see slices in frames or shadowboxes. So there you have it! Personally, I’m just loving those beads but you really can’t go wrong with any of these trendy decor accessories. I’ll talk to you all in a few!